Get home cleaning services in Chennai with a 30-Day Service Guarantee and Protection against Damage upto INR 10,000. We have Well Equipped and Trained Team, who carries out Deep House Cleaning and Sanitization with Non-Hazardous Chemicals. Chennai is an amazing city to live in and there is so much to explore in the city and we are sure you would rather enjoy your life than spend your time scrubbing the floors. That is why you must consider hiring home deep cleaning service in Chennai from UrbanClap. Our experts are trained in cleaning your home thoroughly with professional cleaning equipments and professional-grade cleaning products. Book our home deep cleaning services today! They did a decent job and cleaned the house well. Great service! A very patient and methodical team . Did a fine job and left the house sparkling. Managed resources well. Paid attention to detail. The boys did a good job. However bathroom cleaning services have to be improved. I needed to get my apartment cleaned before moving in as a tenant. 3 guys showed up much before time and did an outstanding job. Very impressed. Highly recommended. Excellent service. They took 6 hours to clean every inch of the house. Thanks for your work. Paul Raj and team was very good at the work. They were polite and ensured everything is done neatly. Definitely recommend this service. Thank you Uberclap!! The work was completed pretty fast, so I felt the charges were more. Excellent job. Hi5 were professional and courteous. Excellent job by UC team. Thanks!!! Excellent job done by the team!! Very professional service. No unnecessary discussion between the workers. Did a very neat job and it tool almost 8 hours but all of them very patient. 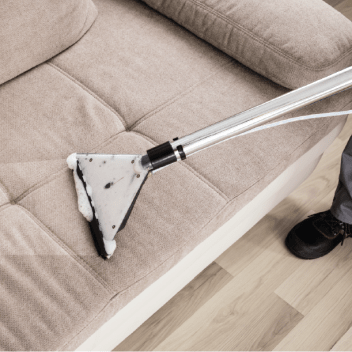 If scrubbing the floors and dusting the furniture in your house is not something that you enjoy then it may be time to look for delegating the task to someone else. Someone who is trained in the household cleaning chores and handling cleaning equipment. 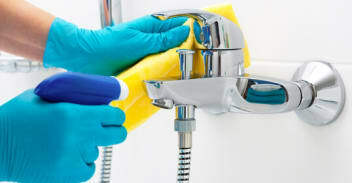 UrbanClap offers cleaning services right from home deep cleaning services to individual cleaning services such as bathroom deep cleaning, kitchen deep cleaning, sofa cleaning, etc. Once you start availing professional cleaning services, you will realise what you have been missing all these years. 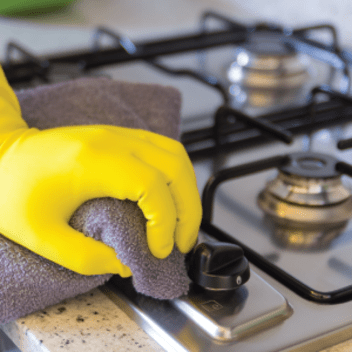 Say Goodbye to Stress: If you get stressed out by the number of cleaning chores you need to do on a regular basis to maintain your home, you must consider booking professional home deep cleaning services. Cleaning professionals can carry out the tasks effectively and give you a much-needed break from the housework that you can utilise to relax at home or spend with your loved ones. Save Your Precious Time: Cleaning your home can take a lot of time out of your day and also take up a lot of energy. This means that you will have relatively less time to do other things whether it is learning a new skill, spending time with your family or meeting up with friends. So hire cleaning professionals to clean your home and free up your time to do things that matter more to you in life. These cleaning professionals are trained in using different tools and products to clean your home and complete the job effectively. Improve Your Health: Dust, allergens and germs enter your home on a regular basis. This may lead to breathing difficulties, allergies and diseases if you do not keep them in check by cleaning your home regularly or hiring professional cleaning services. After home deep cleaning, the air in your home gets cleaner and the furniture becomes germ-free helping to improve the health of your family. 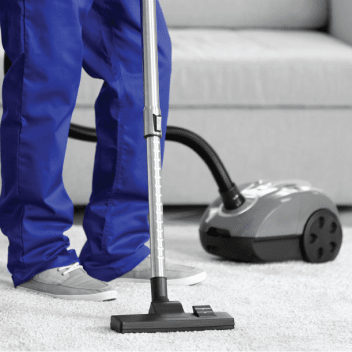 Trained Service Providers: Home deep cleaning requires special equipment and techniques to make sure that the job is carried out to the customer expectations. The professionals registered with UrbanClap have significant experience in the field and offer high-quality services. They bring the tools and equipment required for the job with them and complete the job effectively. Assured Customer Satisfaction: UrbanClap carries out multiple levels of quality checks when it comes to quality of services provided by registered service providers to ensure customer satisfaction. We also have a special section on our website and app for customer reviews where we encourage our customers to share their honest opinions. This helps us improve our services and keep our customers happy and new customers to find out about our service providers. Insured Services: When it comes to home deep cleaning service, trained professionals know how to use the professional equipment and safely complete the job. However, UrbanClap still offers an insurance coverage of up to Rs. 10,000 to its customers in Chennai to help them get peace of mind when they avail this service. UrbanClap professionals use highest grade cleaners in the market that are also safe for children and pets and home.